The American Association of Motor Vehicle Administrators (AAMVA), founded in 1933, is a nonprofit, educational organization striving to develop model programs in motor vehicle administration, police traffic services, and highway safety. In the area of motor vehicle administration, one of AAMVA’s key initiatives has been the standardization of driver’s licenses and official personal identification cards. Initially AAMVA’s role was to aid in the identification of individuals that were granted “the privilege to drive”; that is, the driver’s license. Over the decades though, higher demands were placed on the simple driver’s license that required better security and more consistent information content. Over the past years, security and restrictions regarding various forms of government-issued personal identification documents have become increasingly tighter. 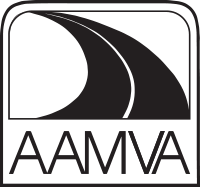 In an effort to regulate the process in the United States, create more accurate data entry results, encourage greater uniformity across jurisdictions, and cut down on overall operating costs, the AAMVA implemented the inclusion of machine-readable technologies including magenetic stripes and barcodes on driver’s licenses and state-issued identification cards. The AAMVA DL/ID Card Design Standard (CDS) provides a standard for the design of driver licenses (DL) and identification (ID) cards issued by AAMVA member jurisdictions. This comprehensive standard addresses everything from dimensions, layout, security mechanisms, machine readable technologies, and precise requirements for information content and its representation. A crucial component of the CDS defines how a PDF417 barcode is used to represent a wealth of driver information. However, the data in the barcode is compacted and encoded using data identifiers, variable lengths, optional fields, and binary separators. The process of reading one of these barcodes, then deciphering its contents can be onerous and error prone. Supporting the latest CDS specification from the AAMVA, the Barcode Scanner Parser Plugin makes it simple for developers to parse barcode data into a structured format (JSON, Key-Value). Far more convenient than custom parsing methods which compel a developer to search through a multitude of bytes for pertinent data, the AAMVA parser plugin delivers effortlessly names, numbers and age verification, among others, as specified in the CDS. Manatee Works is invested in providing developers with the tools they need to expedite projects and more effectively manage overall workflow. “Long hand,” coding practices, such as data parsing, consumes an inordinate amount of a developer's time and can introduce defects into an application. Integrating the Parser Plugin automates sorting, validating, and parsing the type of information necessary to allow the rest of application operations to flow smoothly and efficiently. Easily decode and parse information from the PDF417 barcode now utilized by nearly all 50 states.